Have you ever entered a shop and instantly felt at home? Like you were meant to be there, and everything around you was a perfect fit? A guilty pleasure? In the recent years, enterprises have leveraged big data and analytics to gather fresh customer insights and put the customer experience at the very heart of their organisations. Personalisation has become the principal pillar of growth in the retail industry and many successful brick-and-mortar companies have integrated their primary business channels (online, in-store, and mobile) to boost sales and keep the customers coming back for more. Maybe it comes as no surprise that lagging in-store personalisation cost retailers $150 billion in 2016. According to TimeTrade, consumers would spend on average 4.7% more if they would receive a more personalised (and seamless) shopping experience. So, why have certain companies hopped successfully on the personalisation consumer trend while others have not? Nordstrom, the American chain of luxury department stores and the nation’s favourite fashion retailer, is the perfect example of innovative foresight. The company has recently opened a new store in California, in a small-format (only 3,000-square- foot) which doesn’t hold any inventory. While a few pieces are on display, the customer can’t buy anything in-shop. Their customers will be able to order online and pick-up and try their goods in-store (BOPIS) in a relaxing atmosphere, the same day. 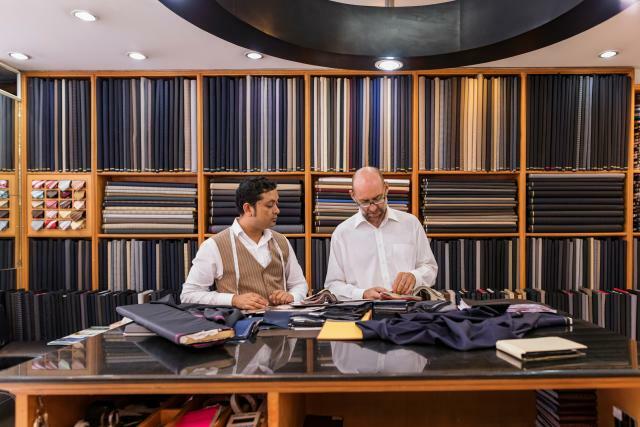 Additionally, they have access to a personal stylist, a beauty salon, a coffee shop with a full beverage menu and a tailor where they can get quick alterations. This new concept is centered around excellent in-store and personalised customer care which is supported by a modern digital infrastructure and a highly-optimised supply chain. The initial results? Last year, Nordstrom had a BOPIS stores sales volume of 45% and they plan further capital investments in technology and full-line stores. Sephora, the No. 1 specialty beauty retailer, leads the way in personalisation. Over the past few years, the company has heavily invested in the latest mobile technology and augmented reality to deliver an interconnected shopping experience and break down the walls between the digital sphere and the in-store touch points. number of brands and beauty options. Through their Beauty Insider loyalty program customers also have access to gifts, rewards, free beauty classes and makeovers, flash shipping and invitations to exclusive events. So far the company has successfully leveraged historic information to connect their customers with the products they want and provide a more enjoyable shopping experience. Lloyds Pharmacy, the British healthcare retailer, is a prime example of unified commerce, where different parts of the medical ecosystem work together to bring the best care for their customers. Lloyds partnered up with NHS to offer online doctor consultations and private (first time) prescriptions to treat a number of common health issues. It also takes only minutes for their patients to refill their prescriptions online with the option to choose between “pick-up in shop” and “free delivery to their door”. In their larger stores, the company has installed interactive touch screens allowing customers to scan products for more information, access step-by- step videos on how to use them and read supplementary health advice. Consumers can use these terminals to browse the entire product catalogue, make payments and get specific advice. CVS Pharmacy, the subsidiary of the American retail and healthcare company CVS Health, also leverages online patient information to offer deals, save up time in-store and help their clients stay healthy by facilitating access to quality healthcare through their MinuteClinics. But they also have gone a step further and introduced CVS Specialty, a personalised program for people with complex medical conditions who require specialty drugs. The company has developed the Specialty Connect Program at all CVS/pharmacy locations to help their clients manage the high costs of medication and get access to expert clinical support. The company has significantly improved the overall experience of their customers who find the process of acquiring medication cumbersome, with 97% of the patients successfully starting therapy after they visited a CVS/pharmacy store.